This warm, elegant private space can seat up to 22 guests. The centerpiece of the room is a single stately table crafted by Maine artisan Greg Lipton. The Main Dining Room serves a prix-fixe menus for dinner and an a la carte menu for lunch. 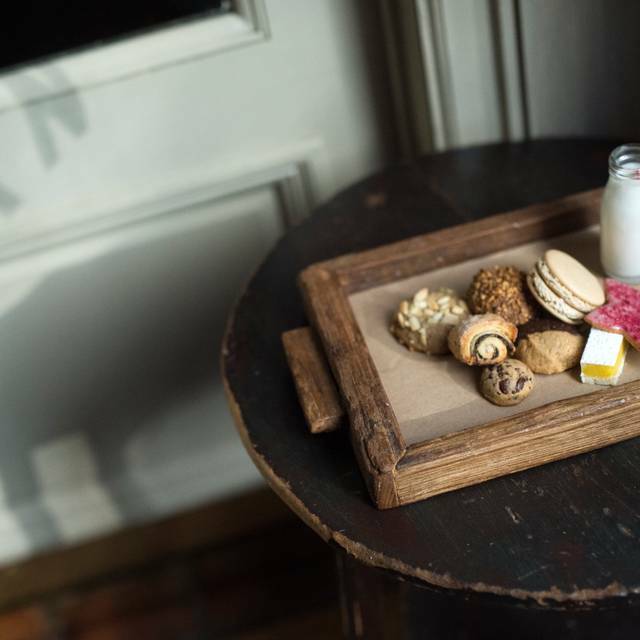 Our Tavern serves an a la carte menu and welcomes guests on a walk-in basis. 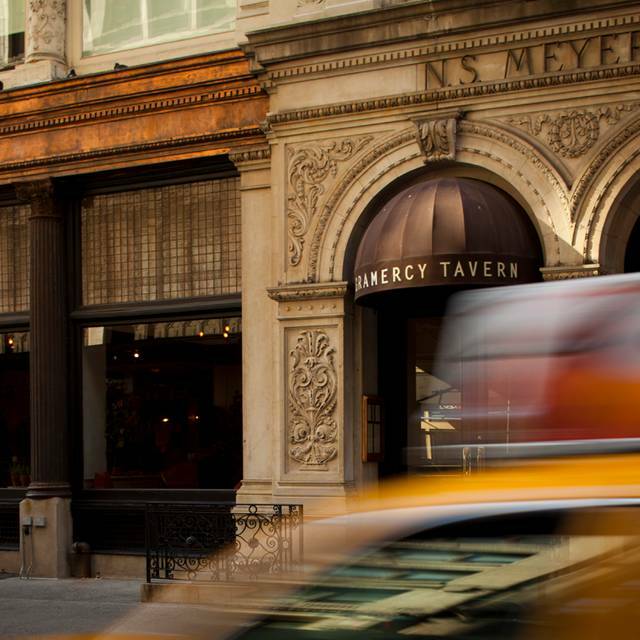 Gramercy Tavern is a non-tipping restaurant. Hospitality Included. The restaurant features an acclaimed wine list and thoughtfully selected beer and cocktail offerings. 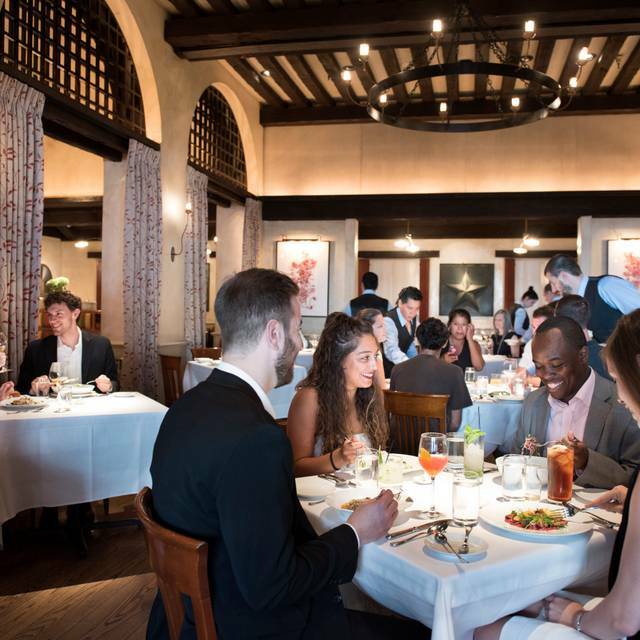 One of America’s most beloved restaurants, Gramercy Tavern has welcomed guests for over 23 years to enjoy seasonal American cuisine, warm hospitality and unparalleled service. 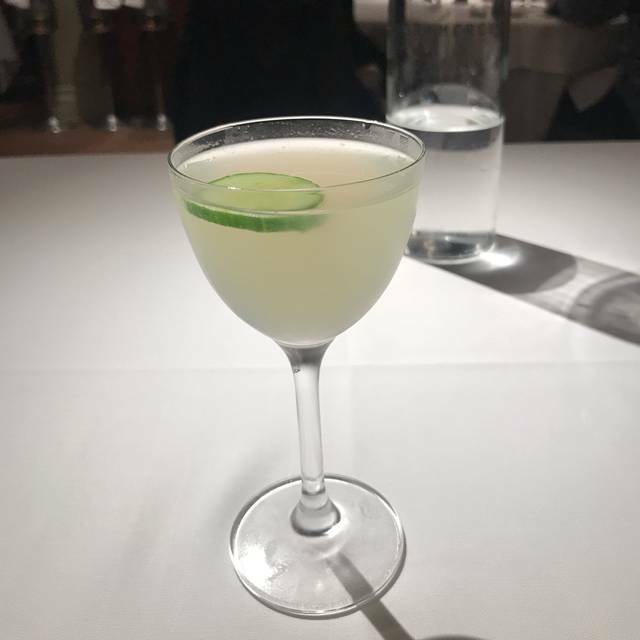 The restaurant is ranked at the top of Zagat Survey’s Most Popular list and has garnered eight James Beard Awards including Outstanding Restaurant and Best Chef NYC. 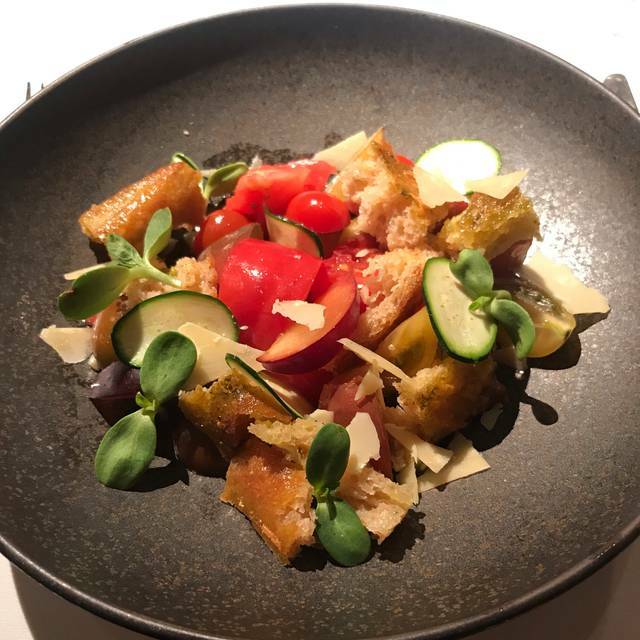 Chef Michael Anthony’s seasonal menu consists of elegant dishes with a rustic influence that showcase the restaurant’s relationships with local farms and purveyors. We celebrated my brother’s engagement at Gramercy Tavern and had an amazing night. Stephen from the wine team couldn’t have been kinder to my 18-year-old daughter, bringing her sparkling cider so she could join into the toast to celebrate a couple. The food was incredible and they even gave my brother (who is a chef) a tour of the kitchen. We will definitely be back and it is my favorite new special occasion place in NYC. 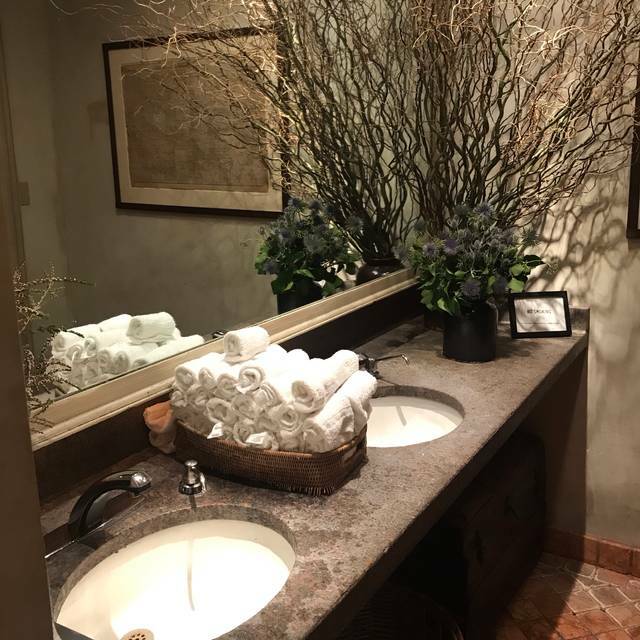 We love, love, love Gramercy Tavern. Our server (Kelsey) was wonderful, offering a slew of information about the food, drinks and other information. Our lunch was fabulous -- we were celebrating our 20th anniversary and were greeted with champagne and seated in a perfect corner booth. Champagne was followed by a lovely meal. The garlic soup was outstanding (just the right balance of flavours); we each had fish for our main (black bass and striped bass, respectively) and it was flavorful and delicate. We finished with a rhubarb fool and cheese plate (the cheeses are amazing!). We were then treated to what I can only describe as a delicious concoction of cheesecake with a creme brulee crust topping. A huge shout-out to Kelsey for making our anniversary lunch delightful. Thanks again! The two main servers that handled our table were great. Very informative and attentive. Food was excellent. I have bad bettee meals here. The trio of lamb is usually fork cutting tender but today was tough and fatty. We loved it! This was a wonderful way to spend an anniversary and the service at Gramercy is so wonderful too. It is just a really special place. Possibly the best dining experience I’ve ever enjoyed. Excellent food service and environment. I had lunch for my birthday. It was an awesome experience. There was a pork dish on the prix fixe menu and it was extraordinary. We went to Gramercy Tavern to celebrate our 46th wedding anniversary. From the moment we walked into the door they didn’t stop spoiling us. We chose the seasonal tasting menu with a wine pairing. Everything was perfect. We were there to celebrate my wife's book release and they made it very special for her. The food is amazing and the service is some of the best in the city even though it is a non tip establishment. Our server Ayesha greeted us with a complimentary glass of Prosecco to celebrate the book launch and was so welcoming and attentive all evening. The rest of the staff did a great job backing her up. Since the menu is constantly changing I will not review each course other than to say that the 3 course menu was well prepared and perfect portions. Dessert was fun and different and they treated us to an extra dessert that was out of this world. This is a top rated restaurant that deserves all of its accolades! Enjoyed a drink in the busy and attractive bar first and then had diner in the main dining room with a prix fixed menu. They offered five nice choices in each of our three courses. They also offer a chef’s selection prix fixed with more courses. Excellent food, service and decor. Very relaxing fine dining experience. Comfortable seating and able to hear our conversation in a lovely and immaculate setting. It’s no accident that it’s a winner year after year. Service has severely declined over the years. Impossible to get help because staff (who share the tips) avoid eye contact when passing your table. They've also been trained to come out of the kitchen with plates in their hands looking like robots. I live in Los Angeles, but every time I visit NYC I try to have dinner at Gramercy Tavern. It is my favorite restaurant anywhere. Everything is always just superb, and it's always a real pleasure dining there. Staff was very welcoming and did a great job knowing that I am also in the industry and made my guest and myself feel very welcome. They exceeded our expectations! Good job! I really love the no-tip / service charge already included policy. It makes the whole experience more comfortable. The wine pairing with the course menu was excellent. 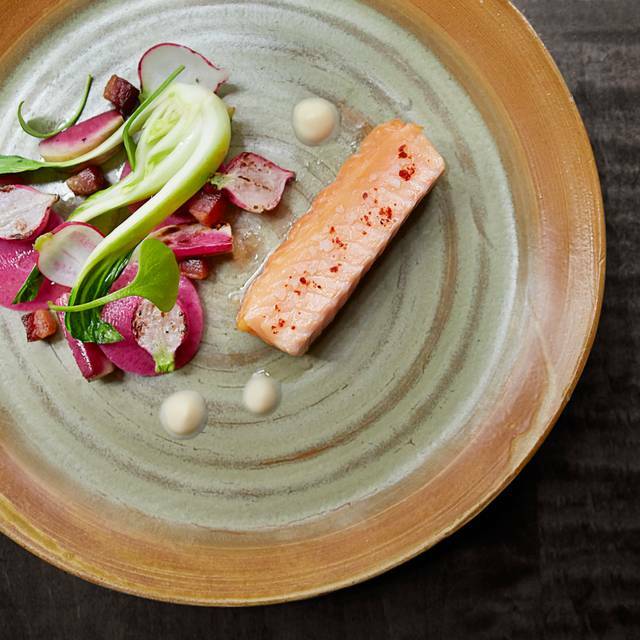 Expectations ran high for a repeat engagement to NYC ‘s top dining experience. We were welcomed with complementary Prosecco for our special occasion. And service was impeccable. Perhaps because we have dinner here before it seemed a bit formulaic in how all was rolled out. The three course menu seems to lack the drama and pizzazz I was used to from previous dining there. Now , I am using very high standards but I left somewhat disappointed. my wife’s tagateille pasts was perfectto. The mains flounder, was dry and too salty while my striped bass really hit the mark. Desserts were disappointing-chocolate cake did not deliver even with a scallop of vanilla ice cream and the lemon sherbet had no zing. A complementary coconut meringue with the occasion noted was off the charts. The staff as attentive and nice as could be with hospitality at every stage. But the dining and food uneven and a bit disappointing for New York’s finest. And I am a huge Danny Meyer foodie. Excellent- every flavor presented was outstanding, service very attentive. Surperb Dining experience. 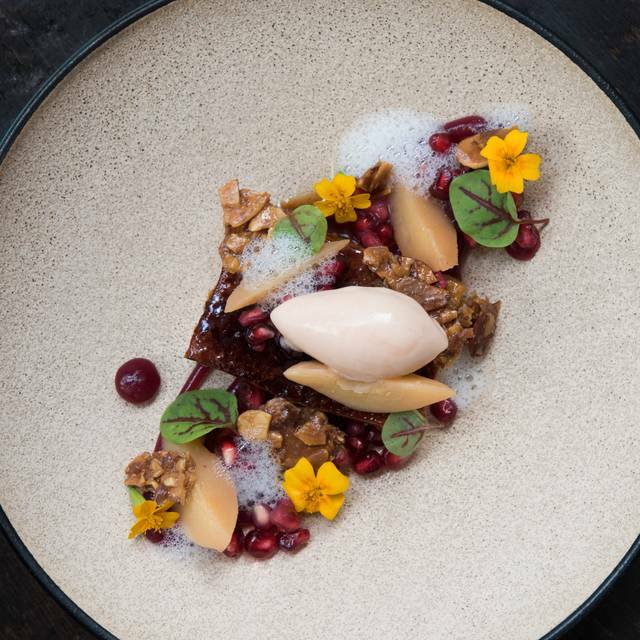 Tasting menu pared with tasting wine menu is a feast for your palate. Perfect evening. Plain and simple. Amazing food and fantastic service. Would recommend any day. We were very disappointed with the food and service. We frequent Gotham and Tocqueville often which are far superior in every way. Amazing meal. Impeccable service. No complaints whatsoever. Showed up 20 minutes before reservation and got seated in about 5 mins. What made the wait a non-issue the head chef, Michael Anthony saw us sitting there and greeted us with a hello and a little small talk. Then the food and presentation was perfect. Seamless service, great food, and a great time. You are going to pay good money for a dinner here but don't think of it as just the food you are paying, you are paying for a chance to see enlightened hospitality at work. Had a great time. Everything was very good. Only thing slightly lacking was a slightly better expectation of wait staff. Wasn’t horrible just wasn’t as good as you’d expect for the Michelin Star. The food was delightful, and the wine recommended by the sommelier has become a favourite. The service was impeccable. A truly wonderful experience! Loved the lunch tasting menu, delicious, complex and reasonably priced. Really lovely. We went for lunch & we had an outstanding meal. We ordered the crab salad & scallops as appetizers to share...both were delicious & prepared to perfection. For main course we had the sea bass, monk fish & burger & everyone had a good meal. We were too full to eat any dessert. I hesitate to go for dinner because you have to order the prix-fixe..it is expensive & too much food for us as we are small eaters. So I love that we can order what we want. The service was exceptional. We also loved the bread & the goat cheese butter was was brought at the start..it was super yummy!! Nothing extraordinary about the menu - Scallops were Meh. Delicious food as always. Great wine pairing. Service very attentive. Tasting menu played a little too safe this time - they could have made it more exciting, but still top notch ingredients and perfect preparation. Was very noisy this time and louder than I experienced before during my 2 previous visits. We celebrated our 45th wedding anniversary here. On either side of us, were other couples celebrating anniversaries and new jobs. The service was impeccable and the food great. The 3 course meal was just right, with multiple choices for each course. We had the shrimp and tagliatelle (a special that night) starters and pork and lamb mains. We received a congratulatory dessert glass of champagne and a small tasty cake. Always wonderful and attentive, from the time you hit the front desk until you walk out the door. 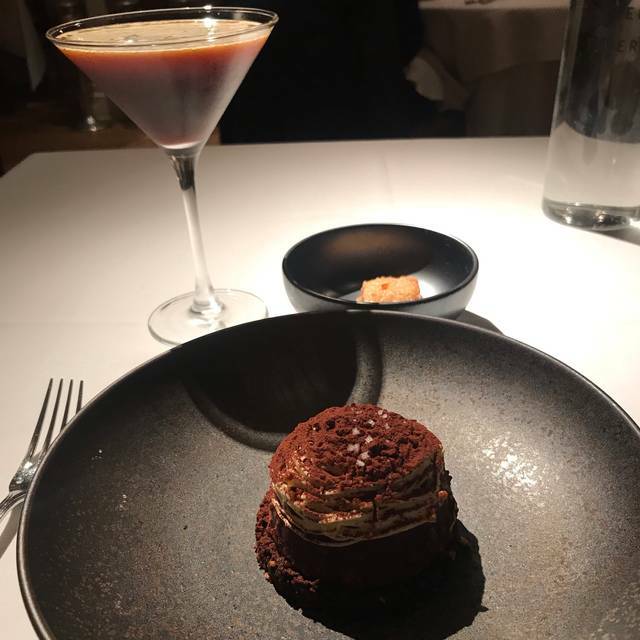 We had a wonderful 7 course meal but I will order a 3 couse one if I come back but my problem with the 3 servings is the desert which is not a priority in my life. The cheese course is available but who wants cheese after wonderful dishes? & I ordered cheese which I wasn’t able to eat. So the food was extraordinary but I had a conflict with the desserts as well as cheeses choices. I have been to Major Michelin starred restaurants in Europe and enjoy most, the ones which offer dégustation menus and also a la carte.